Czech Improved White Pigs are found throughout the Czech Republic. 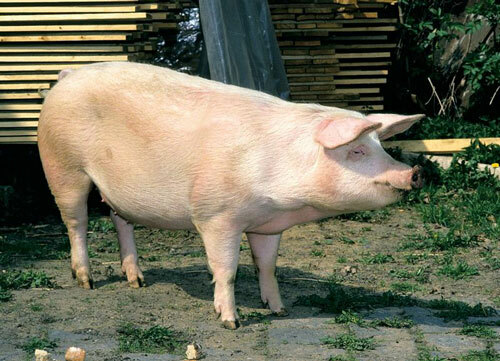 They were developed from Large White, Edelschwein, and German Landrace pigs crossed with local swine. The Slovakian Improved White and Slovakian White Meat were developed from the Czech Improved White. They are a basic and widely used white breed with short and erect ears. They have a strong constitution and are adaptable. They have a medium to large body. They are known for excellent fertility and milk production. They also fatten at an above average rate.